“The first thing you learn when you’re blogging is that people are one click away from leaving you” is a quote attributed to Alex Tabarrok. Through more than a decade of blogging weekly and trying to keep people from clicking away until fully digesting what I’ve had to share, these are the lessons I’ve learned. I have repeated Scott Ginsburg’s advice that led me to blog every Sunday, whether I felt inspired or not, often because it is so true. “Make a date with the page,” he said. He was right. I may have missed five Sundays out of the ten years, max. Scott’s advice made me discipline myself and overcome the mythical idea that it takes a magical shot of brilliant insight to get words from the brain, through the fingers, and onto the page. It takes dogged determination to keep at it. Period. Honestly, I can’t think of a topic so neutral that someone won’t object. Although my blog topic started off as something pretty specific (being a back of the pack runner), it expanded. I write what I think, and I sometimes write to spark dialogue between people. I try to do so respectfully, factually and clearly. But the online world is not a place where everyone agrees, and a blogger can’t fully control her message. One of my personal principles is to ask myself “is this something you would say in person?” This is especially true with questions that have local ties, such as the student who threatened to sue because she wasn’t selected to the cheerleading squad at my daughter’s alma mater. This is a bit of an offshoot of “people will be hurt and insulted,” but it involves a different nuance, I think. While I can’t think of a post that would have been better delivered face to face, I do think the things I write may be perceived differently by people who don’t know me personally than by those who have a different sense of how I conduct myself in person. 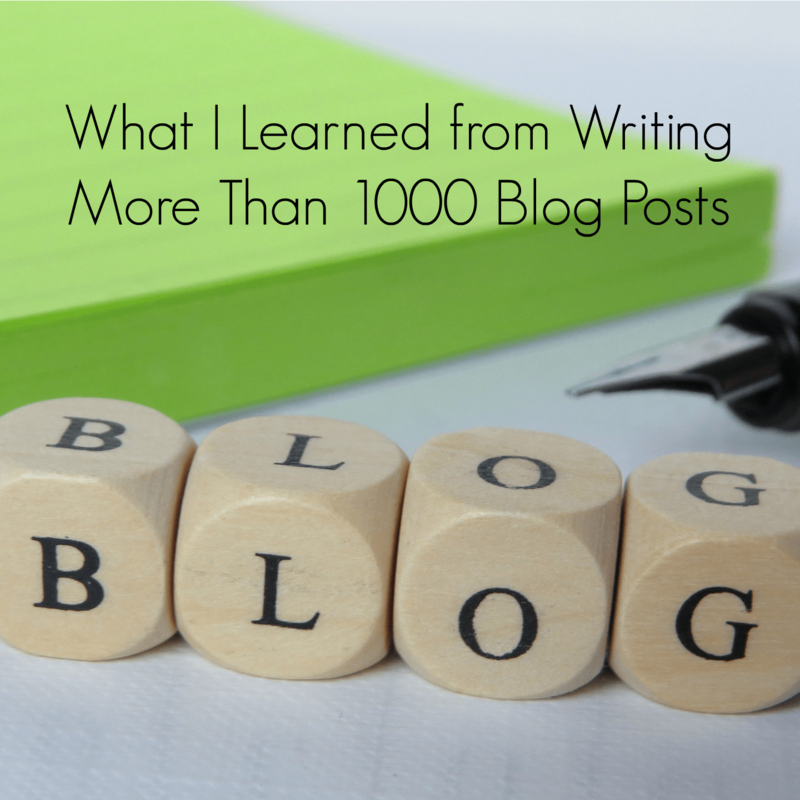 I am a freak about accuracy, but write more than 1,000 posts and you’re going to make mistakes. Fortunately, there is an “edit” function and mistakes can be rectified, but it’s much more pleasing to get things right from the outset. A “Parade of short lived establishments” in that location? Umm… There was ONE short-lived establishment: Helen’s Diner. The previous occupant, Banjo’s BBQ had been there for decades. One short-lived tenant does not a parade make. I immediately added an author’s note to respond to that comment, acknowledging that I was unable to document the “parade.” What bothers me is that I’m pretty sure I know who the commenter is. If so, it’s one of two people with whom I still interact frequently and I just wish we could talk it out! I know I need to make like Elsa and “let it go.” It has been six years after all, but it bugs me! The other error that sticks with me is one from this blog I wrote as a reflection on a New York Times “Modern Love” column. The column responded to a letter from a reader who had started a relationship with a man, and who wrote about how the man’s former wife was supportive of the relationship. There’s nothing wrong, of course, with a former wife choosing to be supportive of a relationship, but this woman didn’t convince me with her account of how she fell in love with the guy while he was still married to his wife. I did some very amateurish poking around on social media that led me to the inaccurate conclusion about the wrong individual, and made a few unfair and distinctly wrong leaps of “discovery” about the author’s mental health. This is not good because I consider myself a mental health advocate. Once I came to my senses (and my facts), I corrected the post and wrote a clarification. Unfortunately this all came after I had shared a link to my post in the comments of the New York Times article. Lesson learned several times over. One of the major shifts, though, probably has to do with how I look at disabilities and how I am (hopefully) doing less “othering.” I was heavily involved in Autism Speaks around 2012. There has been quite a bit of movement among many former supporters of that organization. I think specifically of my friends Matt and Jess, who I met in 2012 when I ran a half marathon for Autism Speaks. Although I still feel strongly about supporting people with autism and their families, and especially about making sure there are options for adults with autism to have meaningful work and the opportunity to function as independently as possible, I view autism less from the perspective of “something to be fixed” now and more from the angle of “a different set of features and life skills.” I still can’t adequately address this, but Jess of Diary of a Mom can, and did so here. If you want your blog to be more than words on a screen, you have to share it (even though being self-promotional can feel awkward). You also need to share it in other forms (such as video), because people prefer to receive information in other ways. For example, this is a video I did to support my blog about dress codes at internships. Hopefully this goes without saying, but writing is one of those areas where we all need to seek (and act on) feedback. We are our own worst editors. I am thankful to Randi Atwood, who taught a fantastic writing course earlier this year, and who has helped me shape my theater reviews (and opinion pieces) for the Tallahassee Democrat. Out of all my posts, the 2nd-highest performing post was one I wrote about “hippie juice,” an adult beverage made with powdered lemonade mix and flavored vodka five years ago. It was outperformed by a post I did about brain health, which reassures me a little bit! But still … hippie juice instead of white privilege, getting tested for HIV or a great book? Go figure! While I know the proportion of people who comment on blogs is small relative to the number of people who read, it still surprises me when someone tells me they read my blog. I’m glad (very), and I know commenting is a pain, but I suppose I wish I could hear more about what people think after reading what I have written. My favorite was a conversation with a friend/reader and the turn the conversation took when we began talking about grocery dividers. It makes me laugh a little bit that people think about me when they are at the conveyor belt (thanks, guys). More importantly, I hope the post makes people recognize microaggressions and resolve to be more aware of them. A love of writing is the main thing that propelled me down the road of being a blogger. It’s nice to interact with others. It’s really nice to make money occasionally from blogging. Most importantly, it’s rewarding to try to help people be aware of causes for which they can advocate and social problems they can help resolve — to try to help people have a broader perspective that hopefully helps them contribute more fully to the world around them. If none of that happens, though, I usually walk away from the keyboard happy because words are so enjoyable. NOTE: Thanks to Mona Andrei, whose How writing 500 posts for my personal blog helped position me as a writer post inspired me to write my own reflection.